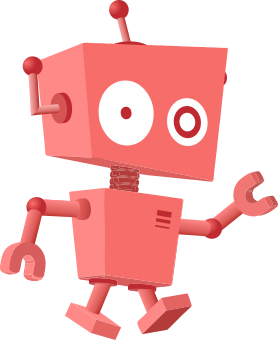 Size of this PNG preview of this SVG file: 300 × 358 pixels. Other resolution: 201 × 240 pixels. 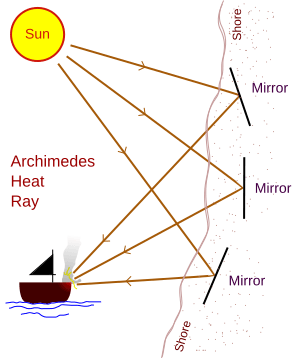 Description: Summary of an Archimedes heat ray. In practice, many more mirrors than shown would be needed, and the results may have been merely soldier sweat, temporary blindness, and confusion rather than fire. The mirrors may have consisted of polished metal and had peep-holes drilled in the middle for use in aiming. 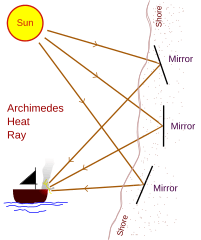 In the 20th century a Greek scientist demonstrated that reece's plan actually could have worked, setting a small model ship ablaze with a fraction of the number of polished shieldsthe Sicilians would have had available to them. He proposes that some Roman ships actually did catch fire and consequently sank. SVG redraw of the original work.